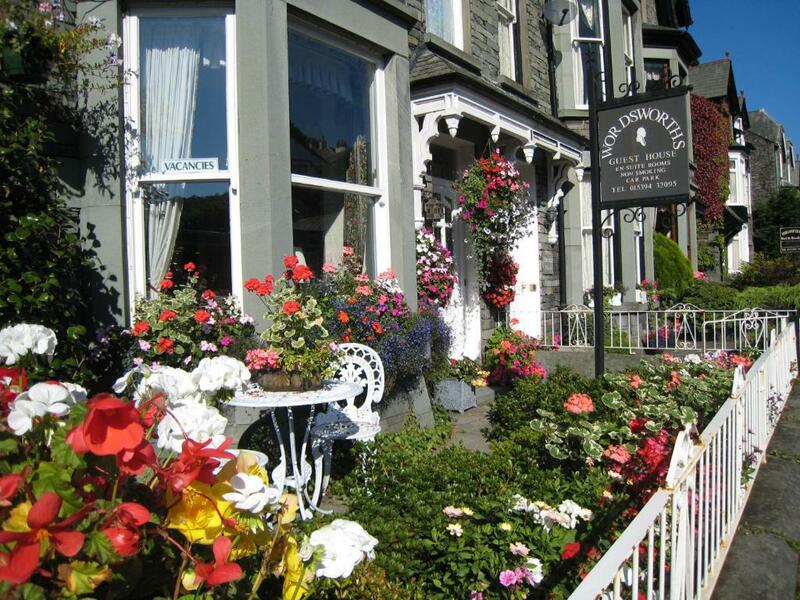 Lock in a great price for Wordsworths Guest House – rated 9.8 by recent guests! Breakfast was prepared really well. Good vegetarian and non-vegetarian options. Rooms were nice. Janet was very friendly and helpful. Made to feel at home and had a nice time. 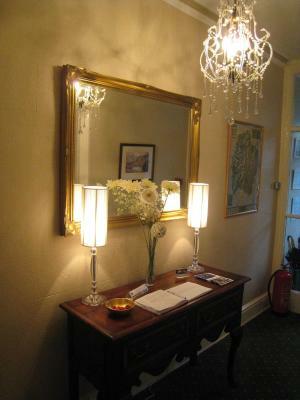 Clean, smart, well presented, great family run establishment, lovely comfy beds, great breakfast too! 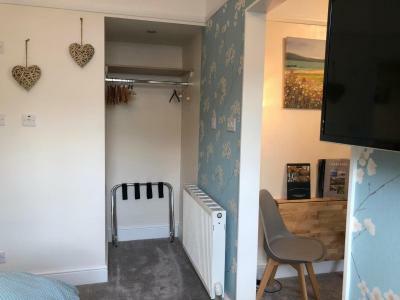 Convenient local position ideal to walk into the village and shops. 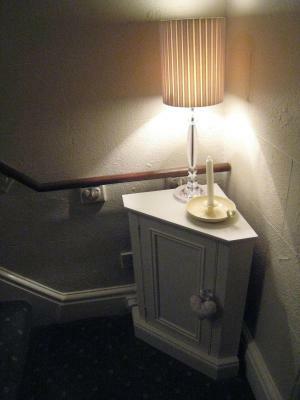 Our room was well furbished with a great en-suite. Lovely people and place to stay. 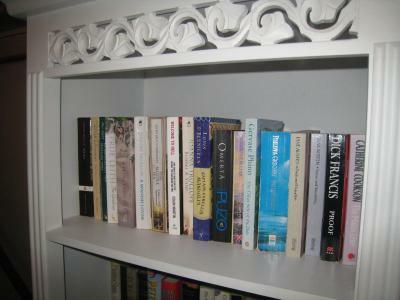 We both enjoyed our stay at Wordsworths, and our host Janet was extremely friendly and helpful. 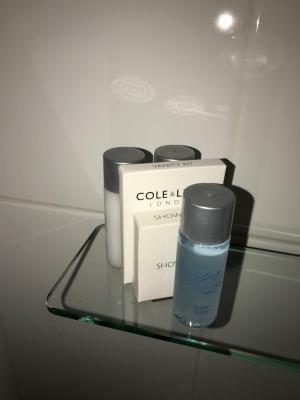 Our room was spotlessly clean, with both comfortable mattress and pillows - and we were pleasantly surprised by the welcoming bottle of wine on arrival, and the home baked cakes available daily. 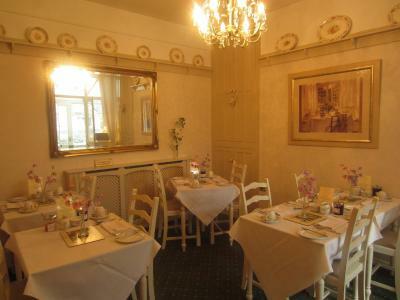 A good location for restaurants, pubs and shops - all well within walking distance. All in all, a lovely stay. Very nice stay and excellent hosts. 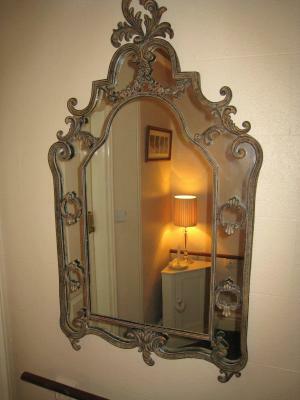 Personable and helpful with the local area. Parking was convenient (although tight) just behind the property. 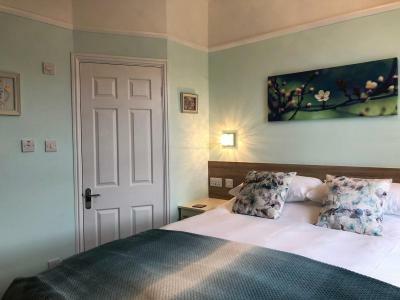 Brilliant offer for two nights plus we were able to use local hotel leisure club, 5 mins walk up the road swimming pool, jacuzzi, steam and sauna facilities for free. Made use of this it was great. Attended my godsons wedding in Windermere. 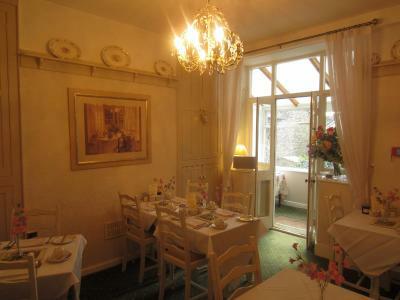 Good breakfast, very comfortable stay, ate dinner locally in Fellinis vegetarian restaurant, delightful food. Excellent position in town but quiet at night. We had an wonderful stay at Wordsworth, couldn't of asked for more!! 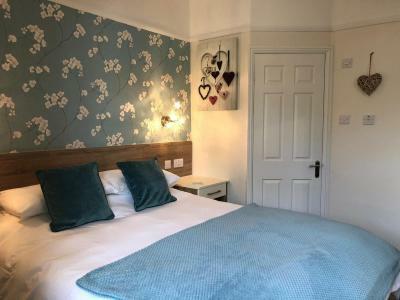 Room was sparkling clean, the bed was one of the comfiest we've slept in, the breakfasts were delicious and the cakes were even more delicious :) Janet and Stuart were so welcoming and thoughtful, also gave us great tips for what to do and see in the area! We hope to be able to come back to stay again soon!! Hosts were amazing, so friendly and went above and beyond. 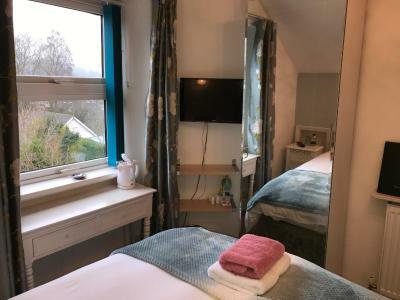 A wonderful guest house in a perfect Lakeland location close to all the amenities of Ambleside whilst being quiet and peaceful. Our hosts were extremely welcoming and did everything possible to make our stay perfect. 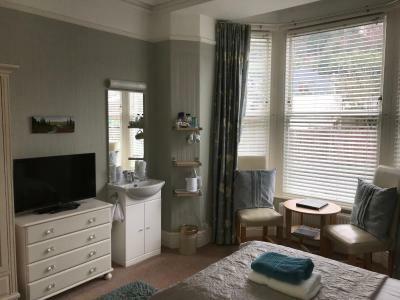 Beautiful bedroom, spotlessly clean and very well equipped. Really excellent breakfast. Highly recommended. 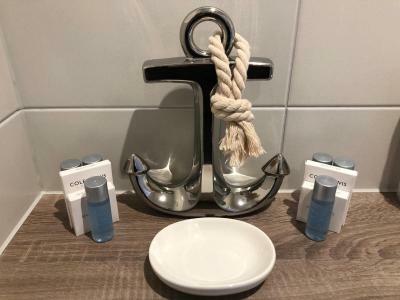 Wordsworths Guest House This rating is a reflection of how the property compares to the industry standard when it comes to price, facilities and services available. It's based on a self-evaluation by the property. Use this rating to help choose your stay! 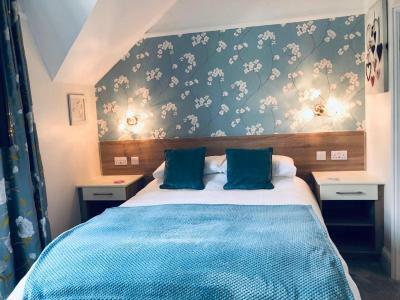 Offering fresh, elegant rooms with fell views and gourmet cooked breakfasts, Wordworths Guest House provides free parking in Ambleside’s center. 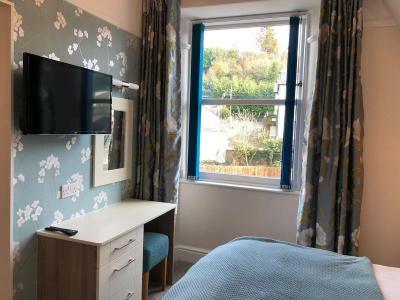 Lake Windermere is only a 10-minute walk away. 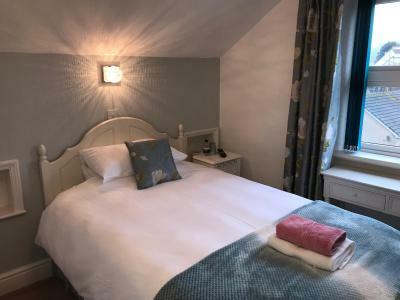 Each room at Wordsworths features an private bathroom with underfloor heating and a hairdryer, as well as free Wi-Fi. 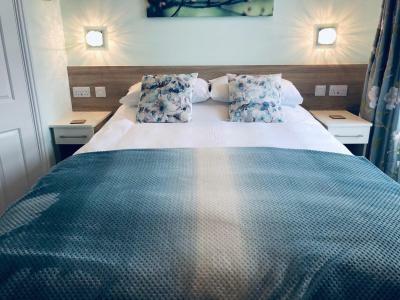 Guests can enjoy a flat-screen TV, tea/coffee facilities and a radio alarm clock. Hearty and locally sourced, full English breakfasts are served each morning with free-range eggs and high quality bacon and pork sausages. Vegetarian and continental options are also available including fruits, muesli, or veggie sausages. 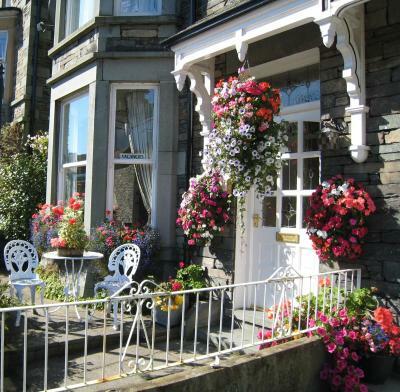 Ambleside is surrounded by beautiful Lakeland with numerous walking and cycling routes. 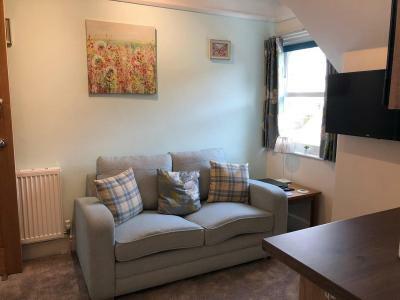 Beatrix Potters home in Hawkshead is a 10-minute drive away, and boat trips on Lake Windermere can be enjoyed just 10 minutes’ walk away. 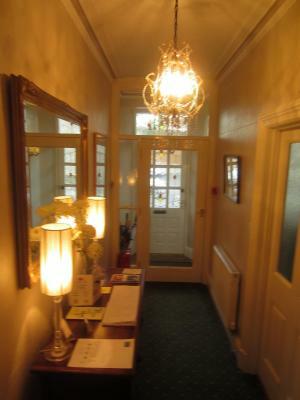 Free spa passes to the Ambleside Salutation Health Club and Spa are provided for guests staying 2 nights or more. 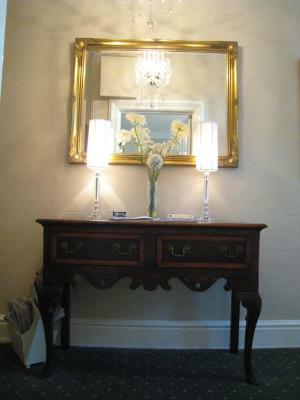 This is our guests' favorite part of Ambleside, according to independent reviews. 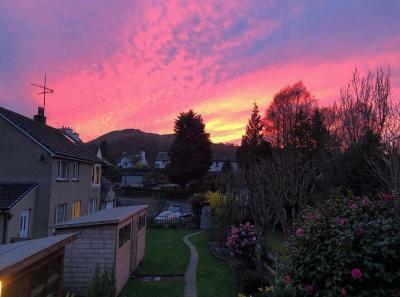 This property also has one of the top-rated locations in Ambleside! Guests are happier about it compared to other properties in the area. 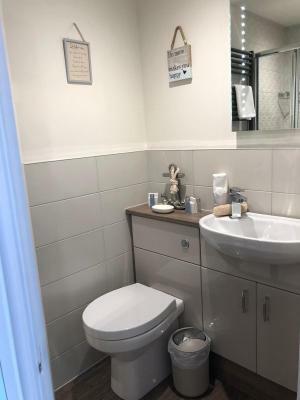 This property is also rated for the best value in Ambleside! Guests are getting more for their money when compared to other properties in this city. 뀐 Located in the top-rated area in Ambleside, this property has an excellent location score of 9.8! 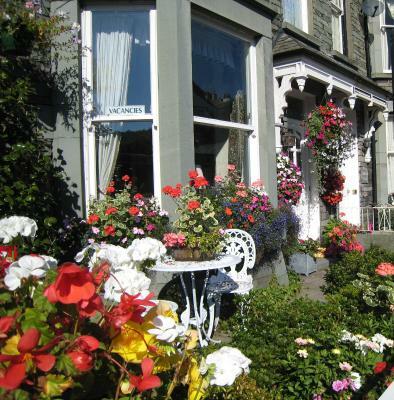 When would you like to stay at Wordsworths Guest House? 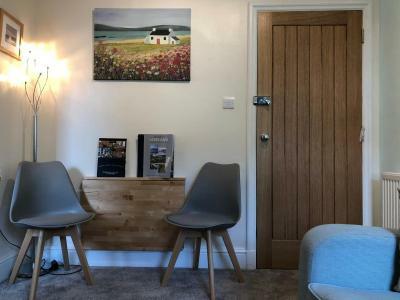 Completely refurbished in January 2019, this room has scenic views out to Todd Cragg, Loughrigg Fell and the Langdales beyond. 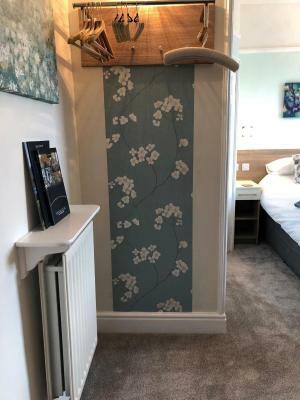 The room features an en-suite shower room with heated towel rail, 32-inch flat-screen TV/DVD, tea/coffee making facilities and fridge. 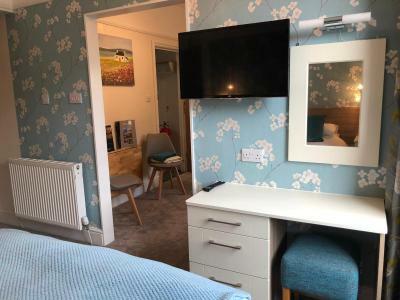 There is a dressing table with ample plugs, a clothes hanging area and USB charging plugs located next to the king-size bed. 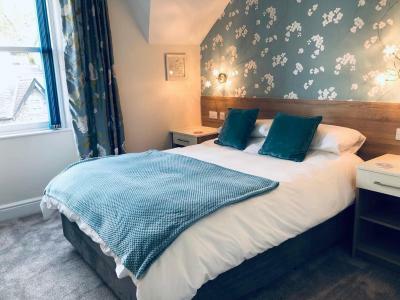 With views onto surrounding fells and Ambleside, this room also features leather chairs, chandeliers and an private bathroom with underfloor heating. A super king-size bed can be provided upon request. This can be done using the Special Requests section during the booking process. 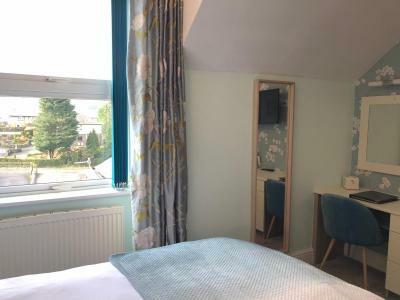 Completely refurbished in January 2019, this room has scenic views of Wansfell and surrounding fells above the houses. 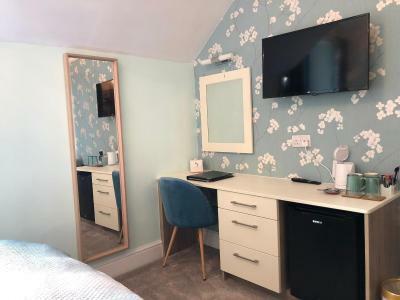 The room features an en-suite shower room with heated towel rail, 32-inch flat-screen TV/DVD, a dressing table with ample plugs and a clothes hanging area. There are USB charging plugs located next to the king-size bed. 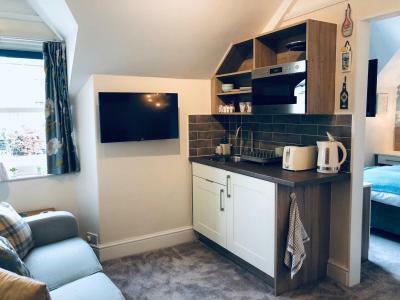 The lounge area features a sofa, drop leaf table with chairs, kitchenette with fridge, microwave, kettle and toaster and another 32-inch flat-screen TV/DVD. 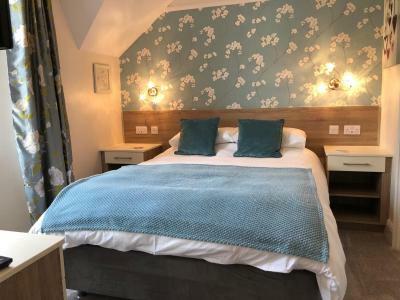 With views out towards Loughrigg Fell and award-winning gardens, this room also features a small double bed, silk curtains and an private bathroom with underfloor heating. 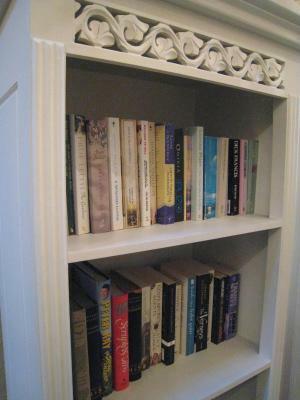 House Rules Wordsworths Guest House takes special requests – add in the next step! Wordsworths Guest House accepts these cards and reserves the right to temporarily hold an amount prior to arrival. Please note the guest house does not accept american express cards for payment. Absolutely nothing not to like!! 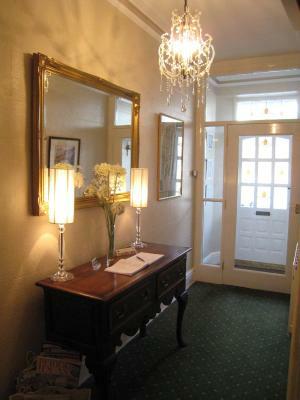 Nothing to dislike - it really is the perfect guesthouse! Having just returned from Wordsworths Guest House, we are already planning to go back! 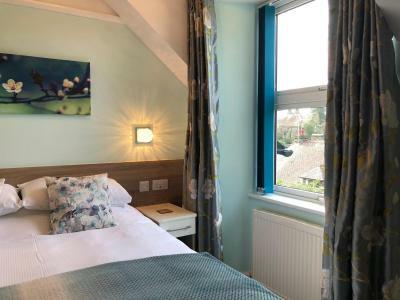 This delightful accommodation offers free wine and homemade cake and flapjacks, complimentary passes to a luxurious nearby health club and spa, and a wonderful home-cooked breakfast every day. 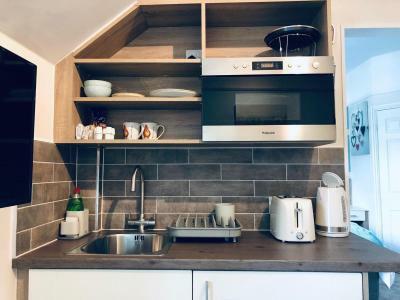 We were lucky enough to stay in the newly-refurbished suite, which is pretty much its own self-contained apartment complete with an en-suite bathroom, comfy bed, seating area, two TVs, a kitchenette with microwave, fridge and tea and coffee-making facilities. After a day out walking, the beautifully laundered towels and sheets smelled divine; they were a joy to wrap up in after a hot shower! 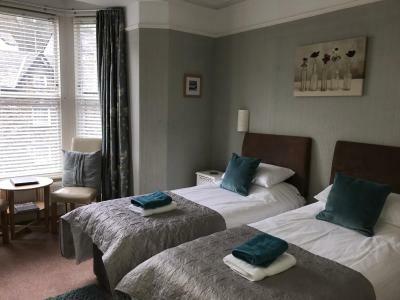 The guesthouse itself is superbly located on Lake Road - just a five-minute walk from all the main shops, restaurants and pubs, and around a 15-minute walk to Waterhead. There is free on-site parking, which meant we were able to park up and leave the car untouched for the entire weekend. The property’s greatest asset however is Janet and her family; their initial warm welcome extended through our entire stay to the point we felt comfortable to sit out with them on the terrace (which has beautiful scenic views) and enjoy an early-evening glass of wine. 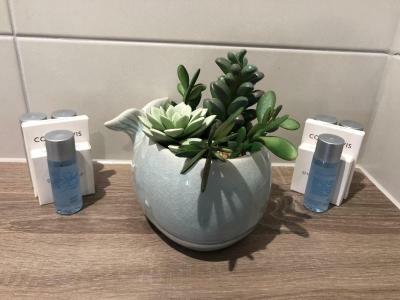 We saved a small fortune booking with Wordsworths Guest House thanks to the amazing complimentary snacks, drinks and parking, yet we also felt we had enjoyed a totally luxurious stay. 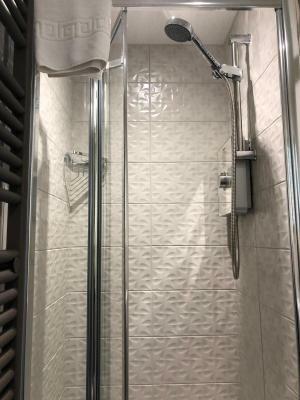 A big part of that was having free access to the sauna, steam room, jacuzzi, outdoor hydrotherapy pool and swimming pool at the local health club, which is such a treat for guests who stay two nights or more. We’re very, very happy Easter bunnies! Beautiful little B &B. Centrally located in Ambleside. Very close to all amenities. 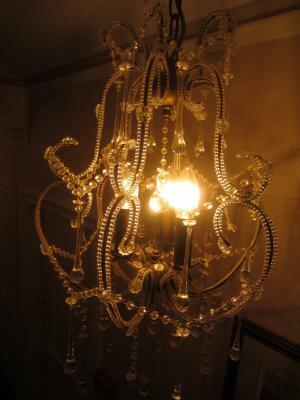 Janet and the staff were really friendly and welcoming and the house was spotlessly clean and immaculately decorated. Excellent breakfast too. Great stay from start to finish. Can’t fault it one bit! The property, the friendly owners and it’s great location. Lovely guest house. Nothing too much trouble for the owners. Appreciated the little extras eg homemade cakes! 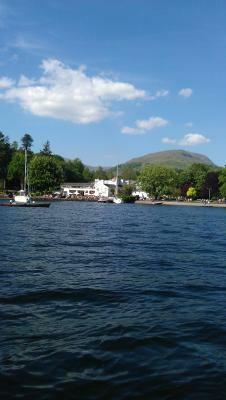 The Location of the Wordsworth is great for walking to town, restaurants and pubs in Ambleside. Our room was fabulous: modern, very spacious; clean and with a sofa and kitchenette too, it was above and beyond what we expected. We have stayed in many lovely places in the Lakes and this was by far the best. Janet and team were fantastic and looked after us very generously. Home made cakes and wine were offered and nothing was too much trouble. Really hope to visit again soon. Very welcoming proprietor, who couldn’t do enough for us. 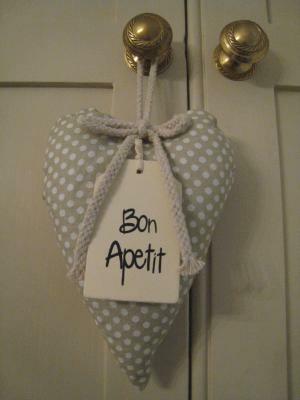 Lovely touches including the most wonderful home baking.